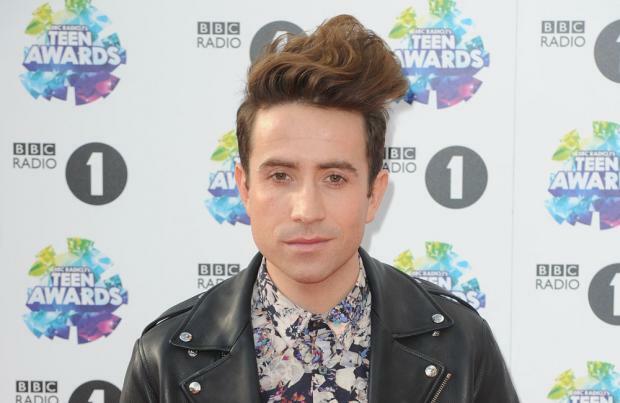 Nick Grimshaw mistakenly called Cheryl Fernandez-Versini by her former name of Cheryl Cole during 'X Factor' auditions. The 30-year-old radio host - who's been added to the 'X Factor' line up this year - accidentally called the brunette beauty by the name she used during her marriage to soccer star Ashley Cole as he asked about her vote. Following Nick's blunder, Cheryl snapped: "It's Cheryl or Chezza!" Meanwhile, fellow judge Rita Ora responded: "I'm backing away!" Simon Cowell, on the other hand, simply said: "Awkward, awkward." Earlier this week, Cheryl's former Girls Aloud bandmate Kimberley Walsh compared Nick Grimshaw to Marmite, saying she can understand why he divides opinion. She said: "He's a bit like Marmite - people love him or hate him. Maybe they're not giving him a chance because they haven't seen him on TV much. I think he'll be a good judge. "I've met him a few times and worked with him over the years. I really like him and find him warm, easy to get on with, funny and witty. Hopefully, that's what we'll see of him and the public will fall in love with him." Meanwhile, Kimberley also backed the decision to add Rita Ora to this year's judging panel. She said: "Obviously we know what to expect with Rita because we've seen her on 'The Voice'. I think it's great that she and Cheryl are different characters but they get along well. And I'm excited about Nick because it's a different angle - coming from radio and bringing a non-performer's perspective is a totally new thing."